Online Aviation Courses: Why Should You Become A Pilot? Does the idea of soaring through the skies excite you? Do you dream of flying for a commercial airline, transporting eager passengers to new heights and foreign lands they previously only saw on TV? 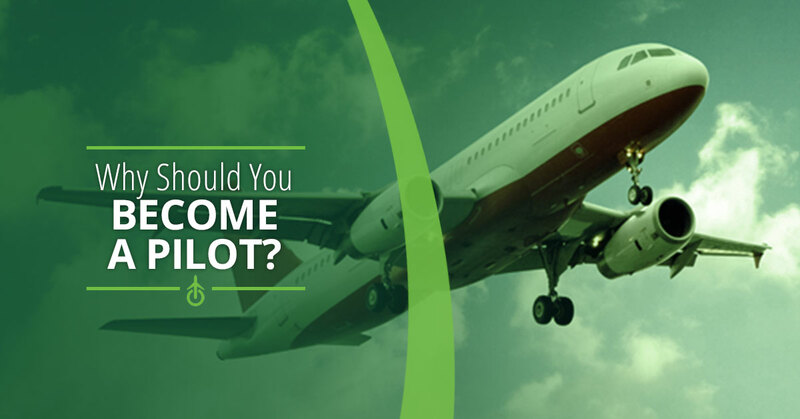 Then becoming a pilot just might be the right career move for you. In this blog, we’ll be providing a few reasons why you should become a pilot, from the opportunity to fly with some of the biggest names in the industry to gaining access to convenient online aviation courses. At CPaT Global, our aim is to make aviation training as accessible as it is beneficial. That way, aviation professionals and commercial airlines can have the tools they need to better themselves and their pilots anywhere, and at any time. Learn more about why you should become a pilot and shop for online aviation courses at CPaT Global today. There’s never been a better time to become a pilot. Air travel across the globe has seen a steady uptick every year, largely because of the affordability and safety in this day and age. The increase in demand means there is an increased need for qualified pilots. The increased need means there is a growing pilot shortage among even the most popular commercial airlines. In fact, a 2017 CNN article estimates that North America alone will be in need of around 117,000 new pilots within the next 20 years. So, if you opt to go down this path, there is a high likelihood of you being able to find a job — so long as you are passionate, dedicated, and of course qualified. Not many people can say that they started their day in one state and ended in another. And that’s not even considering the amount of passport stamps you can get by becoming an international pilot. The possibilities are truly endless, and as a pilot you have the unique opportunity to take to the skies as the captain of one of the most awe-inspiring vessels known to man. There’s just something about the view from 10,000 feet. As a pilot, you get to experience the world from a bird’s eye view — literally. Whether you are flying during the day or at night, chances are you’ll never see the same exact view twice — and that’s pretty special. There’s a reason why becoming a pilot requires a significant investment, requiring huge chunks of both time and money. It’s not a job that everyone is suited for, which is part of the reason why it’s so enticing to so many. As a pilot, you’ll not only learn how to operate an aircraft, but also how to make quick decisions, practice safe operations, and how to properly plan and carefully navigate. Today, pilot training is more accessible than it has ever been. With a number of online aviation training programs available from companies like CPaT Global, aviation professionals and even commercial airlines get the convenience they need to better their skills and take to the skies. Learn how to become a pilot and earn your type rating with the help of our online aviation courses today.